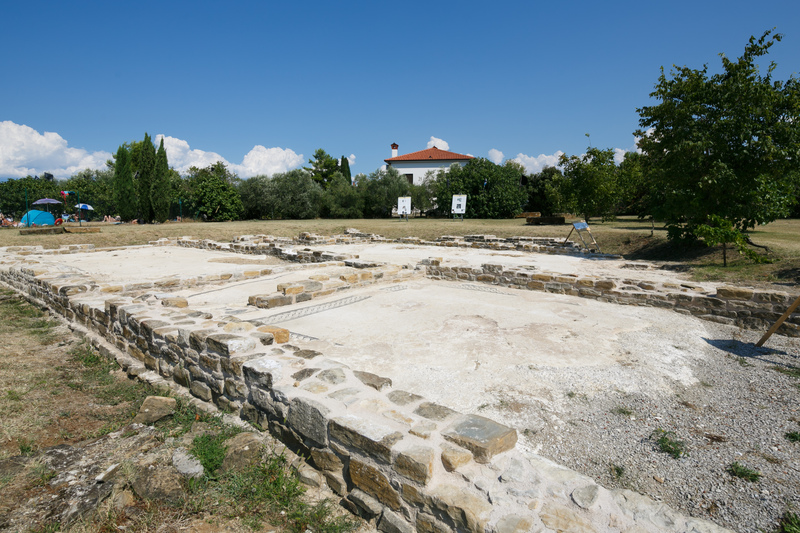 The renovation of the Archaeological Park Simonov zaliv in Izola has been completed and the park is now open for visitors. For the long-lasting renovation 1,2 million euro have been spent, mostly contributed by the EEA Financial Mechanism and Norwegian Mechanism. The new image of the archaeological park is visible from a distance. The most important part of the park, two Roman mosaics, are protected by a roof which can’t be overlooked. At the moment, the monument of national importance now offers to visitors, besides the two restored mosaics, an important novelty – an interpretation centre. The Archaeological Park is most certainly an important addition to the tourist offer. The local operators should make an effort to promote it, and collaborate in asserting the importance of this valuable monument. Weather permitting, the park will be open every day from 5 p.m. to 8 p.m.
Neva Zajc, TV Slovenija; translated by G. K.